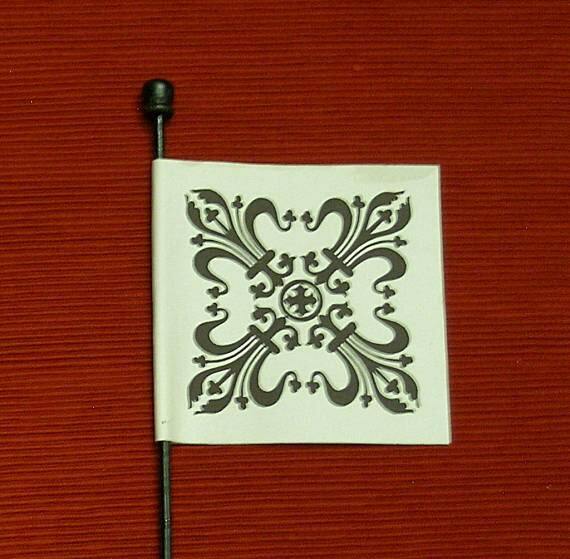 This version of the Venetian Flag Fan is made of heavy parchment colored paper with a fleur de lis design on both sides. The flag portion measures approx. 6x6 1/2 inches. 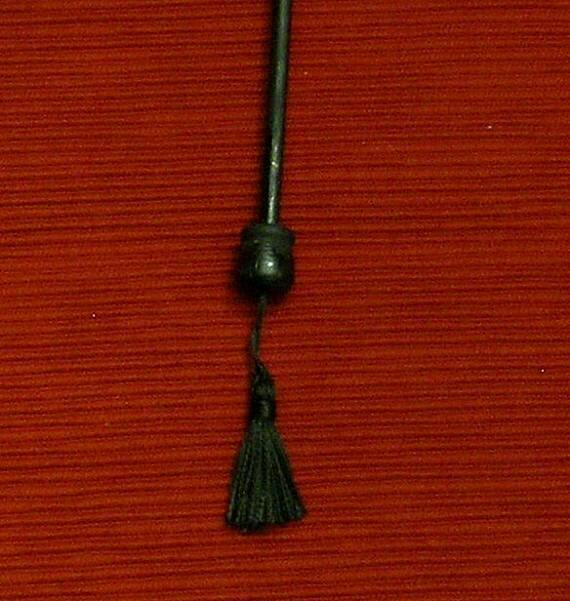 The wooden handle is painted with black enamel and is a little over 20" from the ball capped top above the flag to the capped bottom which as a small tassel dangle. HALF PRICE SALE - Our current stock is a little shop worn from being packed and unpacked for events SO we are offering them at half price until they are gone. Pictures are of the actual fans. We ship via USPS Priority Mail - Insured in a mailing tube so that you will receive your purchase in 2-3 days once the package is posted, plus you can track it on-line. NOTICE - All sales are FINAL on Items bought for photo shoots, weddings, performances or any other one-time project. Other flag fans can be found in our Flag Fans and Feather Fans Section. 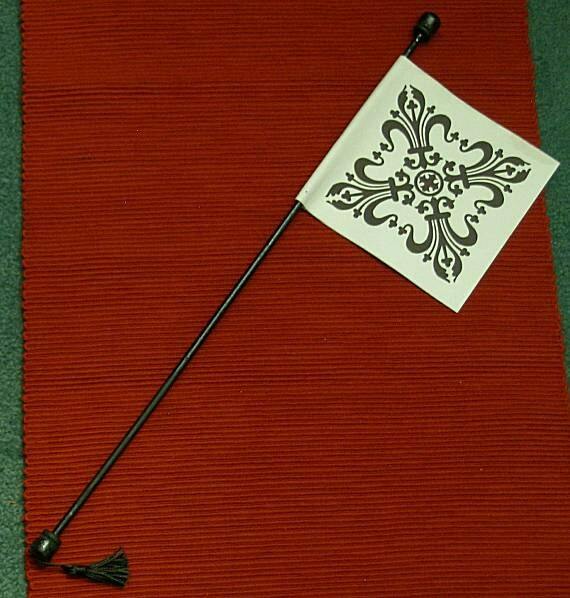 HISTORY NOTE: The Italian Flag Fan (also called "key fan" and "weathercock fan") was very popular in Italy during the Renaissance, especially in Venice. Called the "ventarola" in Italy, these fans were constructed of fabric (brocaded, painted or embroidered), plaited straw and parchment (with paintings, quotes and poems). They had handles of wood, metal and ivory. The more ornate ones were carried by older married women or matrons, while the newly married or betrothed ladies carried ivory or white ones.